We’ve just won the prestigious Pinnacle Retailer Excellence Award for exceptional sales, service and customer satisfaction. Only sixteen Land Rover Retailers in the US earn this distinction each year. Our thanks and appreciation goes to our customers for their support and loyalty to us and to the Land Rover brand. We take pride in this crowning achievement, and are committed to living up to its principles every day, for every customer, making your Land Rover experience exceptional. 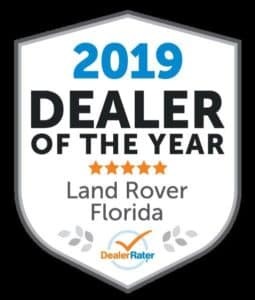 At Land Rover Fort Myers, our commitment to uphold the Land Rover standard of excellence allows our customers access to our unsurpassed industry knowledge and expertise. We’re pleased to offer Fort Myers and the surrounding area full inventories of new Land Rover vehicles as well as high quality, Approved Certified Pre-Owned vehicles. If you’re looking to buy or lease an extraordinary all terrain vehicle backed by outstanding sales and service, come to Land Rover Fort Myers. Financing is available for a loan or lease. 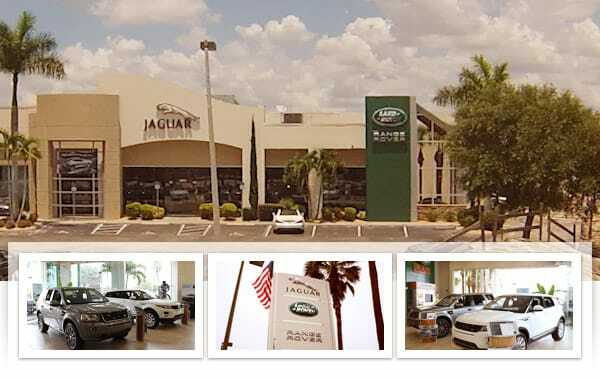 Visit us today at 15875 S. Tamiami Trail, Fort Myers, FL 33908 and experience our passion for Land Rover first hand. We look forward to serving you! On the service side, we have revamped our service loaner program making available more luxury vehicles as loaners. You’ll see a laser focus on complete customer satisfaction. Vehicles will be processed quickly; more quick moving parts will be in stock, and we’ll be in constant contact communicating the status of your service. Thank you for taking the time to explore our website. We hope that you found researching your next vehicle to be interesting as well as effortless. If you have any questions that you were unable to find answers for here on our website please feel free to call us at (866) 591-5472. Proudly serving drivers like you, from Fort Myers to Naples, Bonita Springs and Cape Coral, and everywhere in between. If you’re in the market for a new or used car, you’ve come to the right place. The staff at Land Rover Fort Myers is committed to helping you find the right vehicle for your needs. What’s more, they’re also dedicated to helping you maintain it long after you drive it home for the first time. So where do we begin? Most like to take a look at the latest Land Rover models to hit our showroom, including the Land Rover Discovery, Land Rover Discovery Sport, Range Rover, Range Rover Evoque, Range Rover Velar and Range Rover Sport. Of course, whether you choose new or used, Land Rover Fort Myers staff’s a team of expert auto finance specialists who can help you find the right loan or lease for your needs. From start to finish, we’re by your side to make the buying process as easy as possible. And after you’ve purchased your next vehicle, Land Rover Fort Myers doesn’t go anywhere. Instead, we continue to support you with an onsite service department, which operates using only certified Land Rover parts – a combination that’s sure to result in many worry-free miles in your vehicle’s future. Whatever your automotive needs may be, Land Rover Fort Myers is here to serve you. Located at 15875 S. Tamiami Trail in Fort Myers, Florida, we’re a quick drive away from the surrounding Naples, Bonita Springs and Cape Coral areas. Come see what we can do for you today.